Waffle Street Kochi of malayalam actor Asif Ali is a new restaurant for foodies. The Waffles Street restaurant situated at Cochin has been constructed which is similar to the roadside cafes of Belgium. The restaurant was inaugurated on 26th August 2014 by Prithviraj which was attended by celebrities including Prathap Pothen, Madhu Warrier, Poornima Indrajith, Aparna Nair, Apoorva Bose, cinematographer-director P Sukumar and MLA Hibi Eden. After actor Dileep, Siddique and filmmaker Aashiq Abu, it is the turn of heartthrob Asif Ali to venture into the food business. Situated at Panampally Nagar in Kochi, the restaurant 'Waffle Street' is exclusively constructed similar to the roadside cafes of Belgium and will serve Belgium Waffles. The restaurant was inaugurated on 26th August 2014 by Prithviraj. The grand function was attended by celebrities including Prathap Pothen, Madhu Warrier, Poornima Indrajith, Aparna Nair, Apoorva Bose, cinematographer-director P Sukumar and MLA Hibi Eden. 'Waffle Street' is the joint venture of Asif Ali and his friends Mujeeb and Brijeesh. The care will serve different varieties of Donuts and Crepes which are considered to be a popular dish of Europe-North Africa regions. Designed with perfection meeting the contemporary needs, 'Waffle Street' will offer unexplored recipes at an affordable price. Delicious waffles, crepes and donuts freshly baked would add more excitement to the foodies. Asif Ali who wished to start an exclusive food outlet, felt that Waffles was a good option which would meet the need of the all generation people. In the initial stage, the café will deliver dessert items and develop into a full-fledged restaurant in near future. Much popular in North America, the Belgian waffle is larger in size, lighter batter, larger squares, and a higher grid pattern which forms deep pockets. 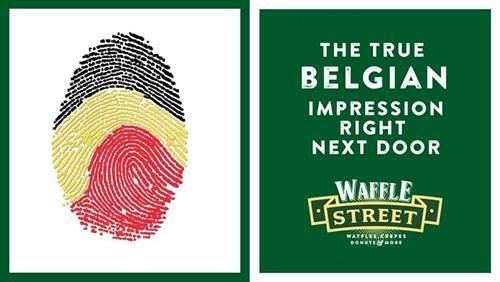 Some other varieties include Brussels waffle and the Liège waffle. The 'Belgian waffle' traditionally uses yeast in the place of baking powder. But most of the contemporary Belgian waffles are often made with baking powder. 'Belgian waffle' is often eaten as a breakfast food, toppings vary from whipped cream, confectioners' sugar, soft fruit, and chocolate spread, to syrup and butter. It is also served with vanilla ice cream and fresh fruits such as strawberries) as a dessert. So the Waffles Street would be a perfect choice for those who are making a visit to Kochi. Nanny's Rasoy Restaurant Kothamangalam details are given here. Nanny's Rasoy Restaurant is an emerging new A/C restaurant with better facilities, wide range of recipes and accommodation. This restaurant is situated along the high ranges of Kothamangalam near to Aluva-Munnar road (AM road). Read this article to know more about Nanny's Rasoy Restaurant.